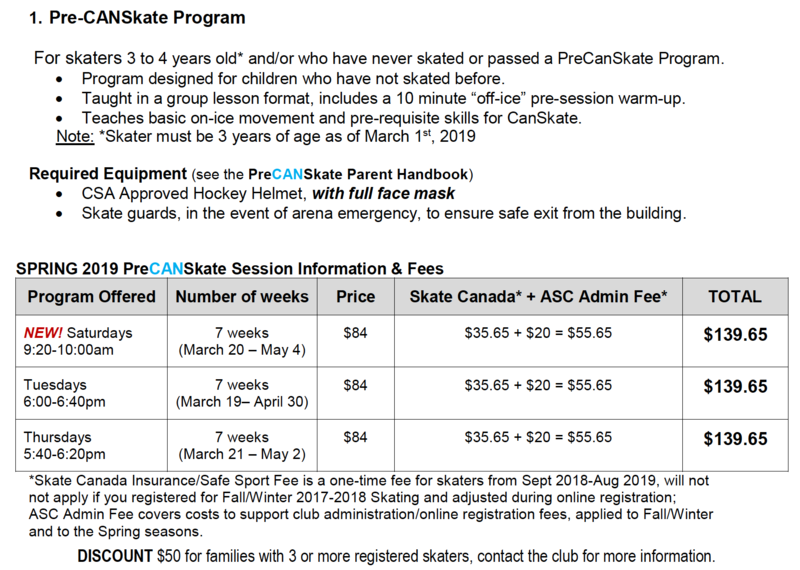 • Read more about Skate Canada’s CANSKATE program here. 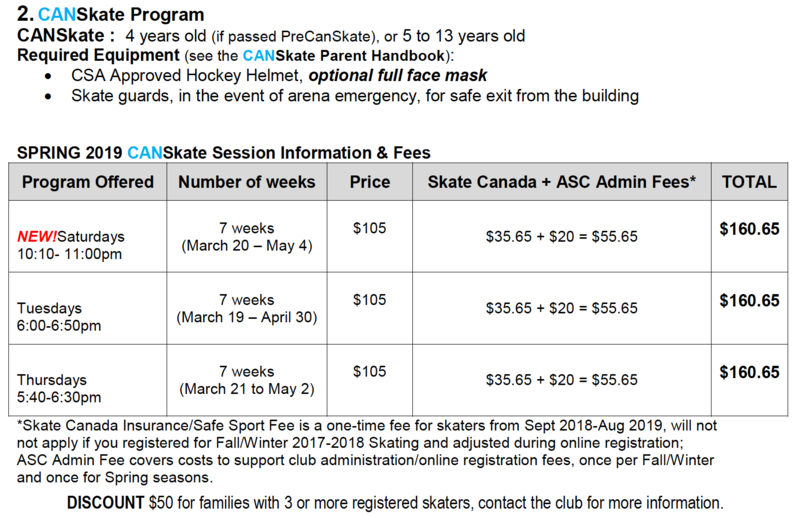 The Ancaster Skating Club offers the opportunity for skaters of various levels to learn the basics of skating in accordance with the New Skate Canada CANSkate Program. Skaters are grouped according to skill level, and progress through six stages of learning. 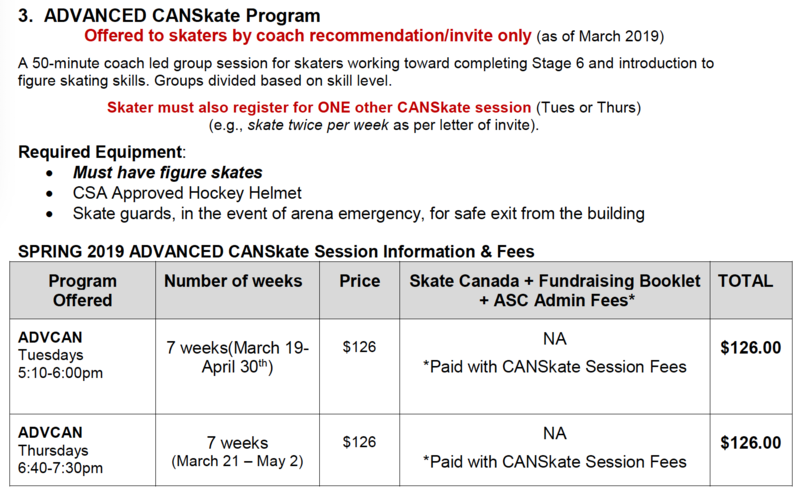 A portion of each session is spent in a group instruction format, provided by our Professional Skate Canada Certified Coaching Staff. Skaters work at their own pace, under the guidance and instruction of ASC Coaches and Program Assistants. Once all skills in a stage have been acquired, the skater obtains a Skate Canada badge, and continues working through the next level.